Why does the Outlook App not work like Outlook? 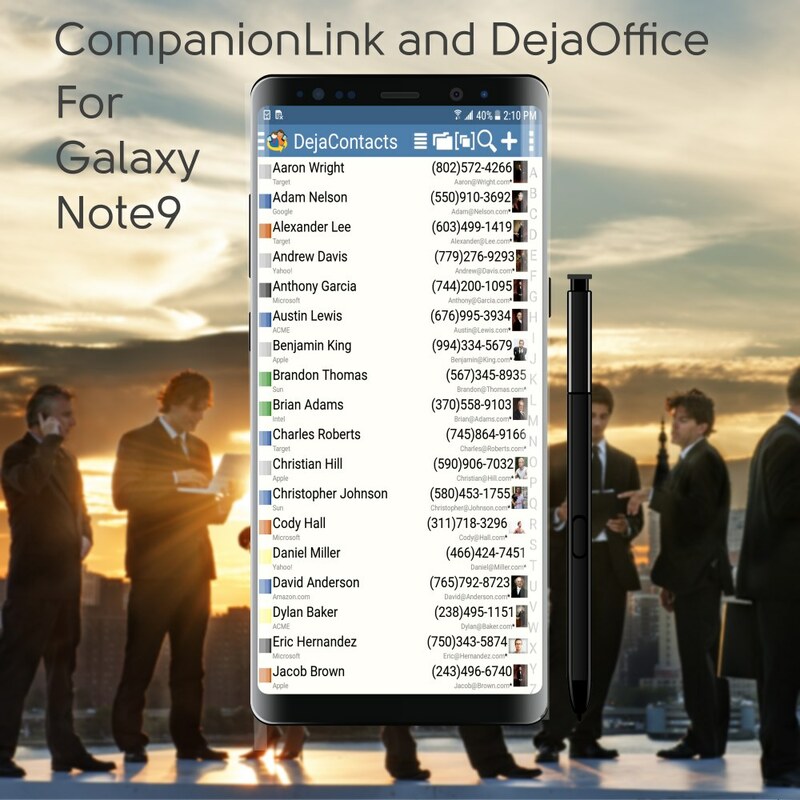 CompanionLink provides an Android App called DejaOffice CRM with PC Sync. It is better than the Outlook App in many ways. Click here for a comparison of DejaOffice App vs Outlook App on Android. To sync Outlook to Galaxy Note9 without needing an Office 365 subscription. Click here for more information on Using Microsoft Office without a Subscription. Samsung Galaxy Note9 is the latest flagship from the world leader of Smartphones. There’s nothing faster or more effective. Here I have an argument with Apple. With iPhone there is no Widgets, and Widgets are so useful, you’ll never catch me using a phone without them. This entry was posted in Android Sync, Mobile Productivity, New Devices, News, Outlook Sync by Wayland. Bookmark the permalink.